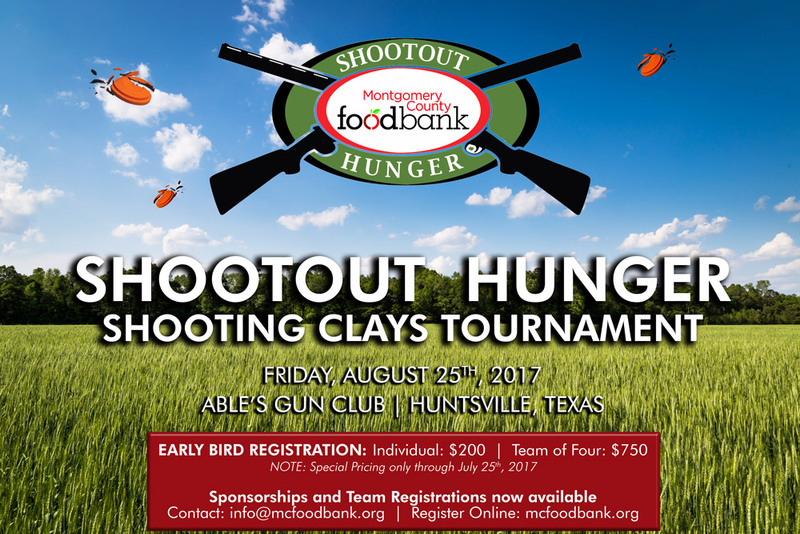 Montgomery County Food Bank is set to host Shootout Hunger on Friday, August 25 at Able’s Gun Club in Huntsville, Texas. The annual shooting clays tournament, chaired by MCFB Board Member Craig Horan, features a day filled with shooting, followed by lunch and awards. Sponsorship opportunities and player registration are available online at http://bit.ly/2sjNh0J or by calling 936-271-8815. All proceeds benefit hunger relief throughout Montgomery County.